Coworking: The Secret To Growing Your Small Business? Small businesses are big news! In South Africa, small, medium and micro enterprises (SMMEs) are responsible for 40% of all business in the country and 36% of the GDP. Synchronicity. Isolation isn’t good for business – it limits growth and networking opportunities. 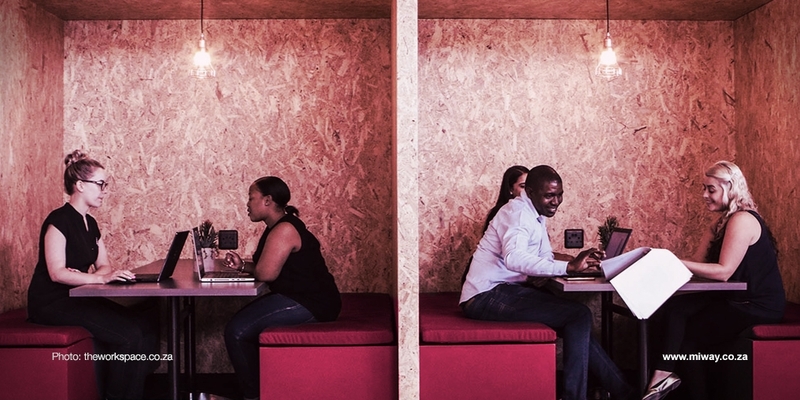 Coworking spaces enable entrepreneurs from a wide range of industries to connect and identify potential synergies, furthering growth potential and ultimately exposing business owners to connections that may never have been made from their home offices. Shared Service = Shared Costs. Many coworking spaces offer shared administrative centres, reception staff, WiFi and numerous other services included in the price which could combat mundane admin and paperwork - big obstacles for any emerging entrepreneur. In the case of more complex tasks like managing compliance issues, there’s always someone to turn to in a collaborative environment - and perhaps even the potential to split costs in certain cases. Saving Money. Office rental does not come cheap, especially in ‘business hubs’, where a small space can come with a massive price tag. For entrepreneurs looking for a fully equipped space, but without the resources to invest in owned space, coworking spaces make perfect sense, requiring rental only for the number of desks (and perks) used. Access to Industry Expertise. Over and above the financial and joint benefits of coworking, many shared spaces now put together industry events in order to offer further opportunities for networking, and also present the potential for training, education and mentorship. By connecting with captains of industry, business owners are better positioned to seek out expert advice and to overcome the obstacles that face them on a daily basis.